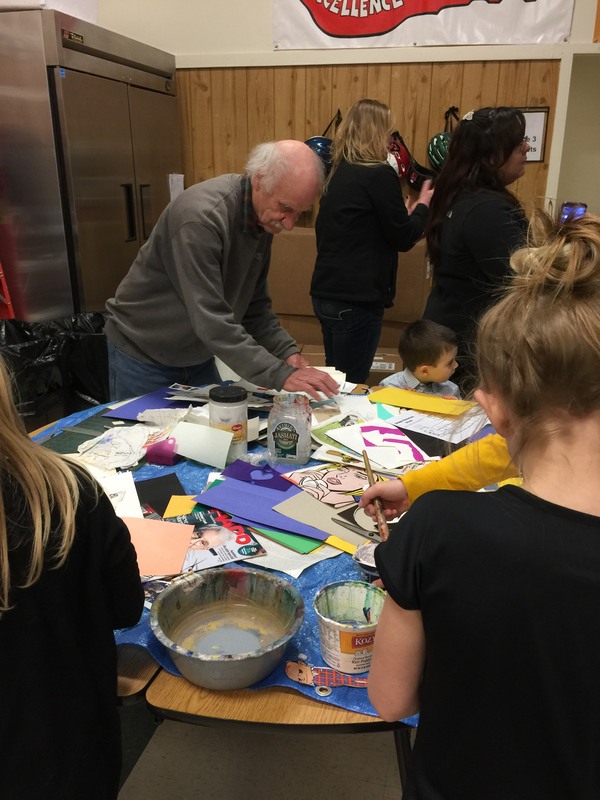 Recently, the 97 students at Sebago Elementary School returned to school with parents and friends to enjoy an evening of arts festivities and entertainment. 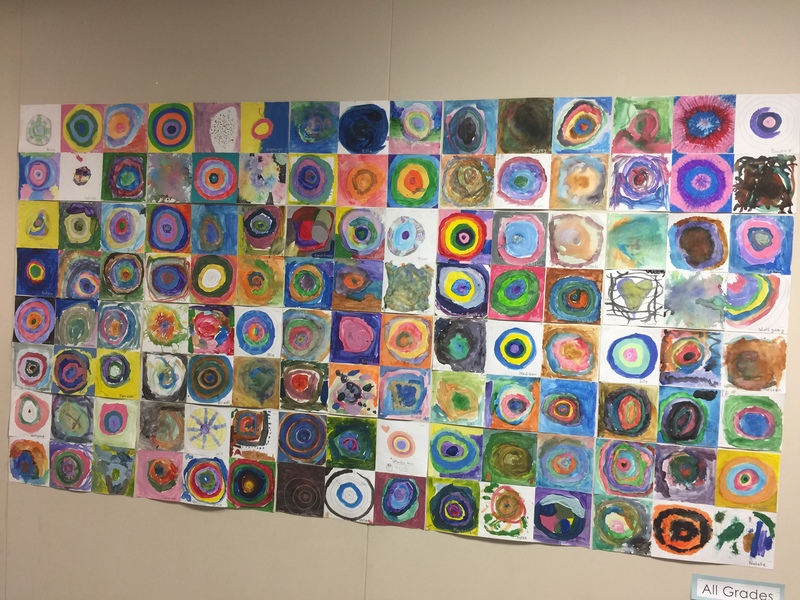 The entire school building was filled with colorful visual artwork created by children in Kindergarten through Grade 5. The students were clearly excited to show off their masterpieces. 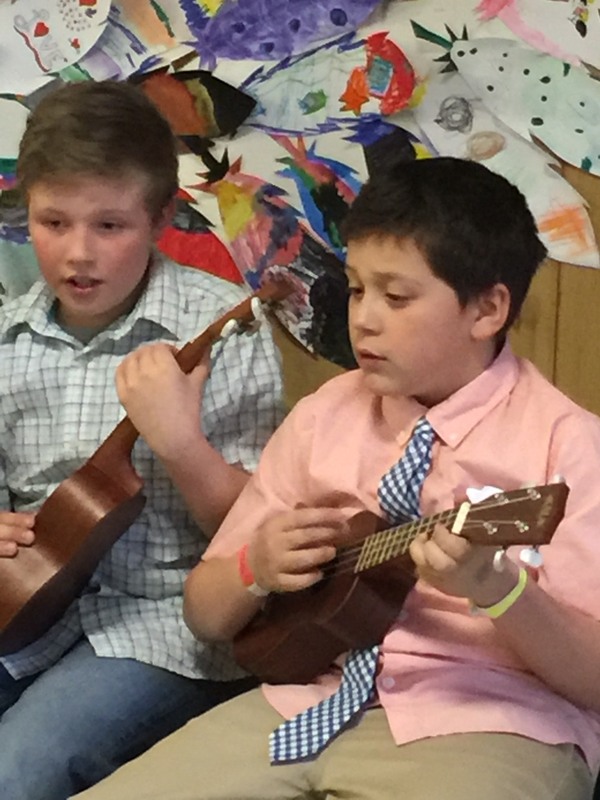 There were musical performances provided by the Chorus, the Grades 4 and 5 Bands, and for the first time, the newly formed Ukulele Club. The music added atmosphere for those lost in the beauty and imaginative visual displays around them. 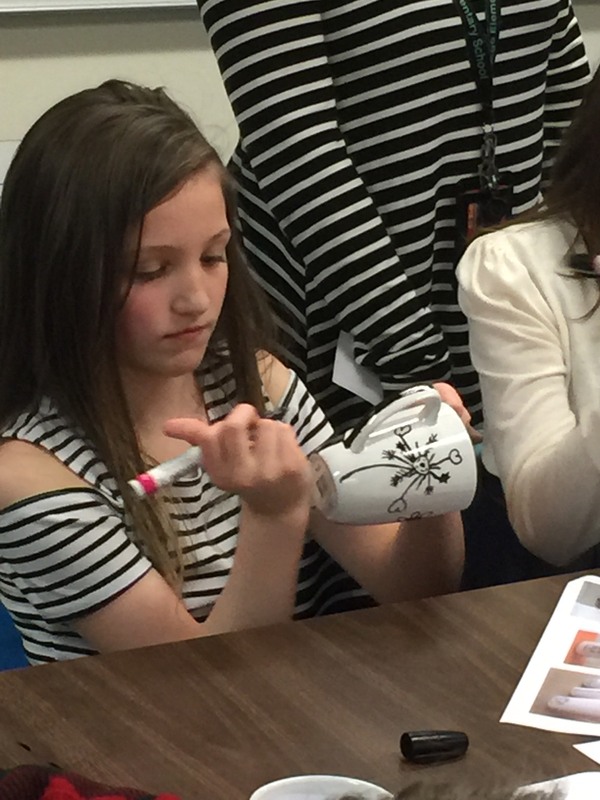 This culminating event was a celebration of Youth Art Month and Music-in-Our Schools-Month, which had been honored throughout March across our Nation. Music students sported buttons that read, “All Music, All People.” The Fine Arts teachers wanted to highlight how important the arts are for students in their overall education. Visitors at the event had the opportunity to explore the work of 4 demonstrating artists. The lovely stained glass work of Nancy Fitch and Kayla Olsen brought a lot of attention. Nancy also led inquisitive children through the creative process. Painter Richard Allen gave students the chance to create work with him, and printer Sarah Parrott afforded people the opportunity to operate her printing press and create some cards. Amidst all of this, there was face painting, which was a huge hit with young and old alike, and mug decorating, which turned out to be the run away favorite indulgence of the night. It was truly a wonderful evening, and people are already asking if it will become an annual event for this newly formed school district! Thank you to music educator Jenni Null for providing the information for this blog post and for including the photographs. It is obvious that the evening was a wonderful opportunity for the community to celebrate the value of arts education!